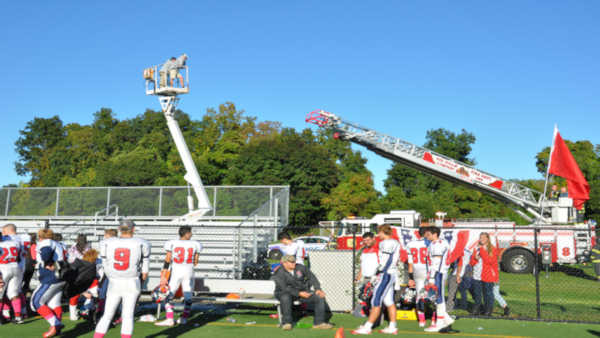 DIX HILLS (WABC) -- Two football coaches from Smithtown were rescued after being stuck 30-feet in the air on a bucket truck. 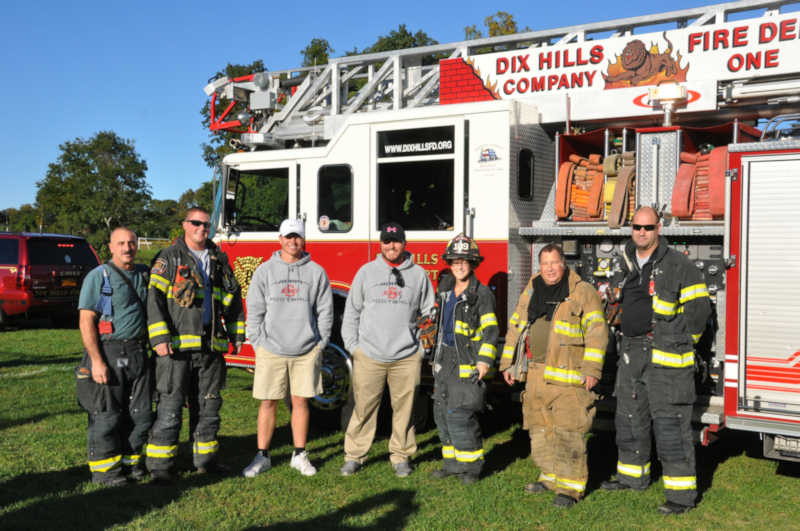 Volunteers from the Dix Hills Fire Department rescued the coaches at the homecoming game at Half Hollow Hills High School East. The coaches became trapped in the truck's boom bucket when the hydraulic lift malfunctioned on Saturday afternoon. Ambulances and first responders arrived on the scene to aid in the rescue. The ladder truck was brought onto the field, and firefighter Matt Stio scaled the ladder to help bring Coach Tyler O'Neill to safety. Firefighter Jacquelyn Stio then climbed the ladder to rescue Coach Tim Kopiske. The entire rescue took approximately 15 minutes.